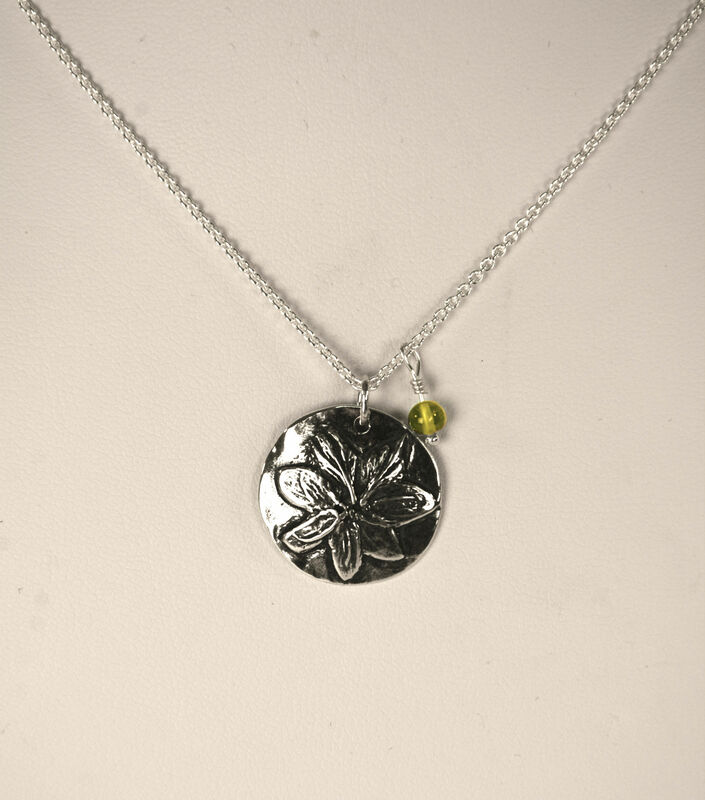 Made exclusively for the Farmers’ Museum, this unique necklace is inspired by the NY cascade hops plant that we have here at the museum! Come visit the Pope Hop House and then take the hops home in this stylish pendant, complete with a peridot resembling the color of the plant. A great accessory and a wonderful conversation piece!